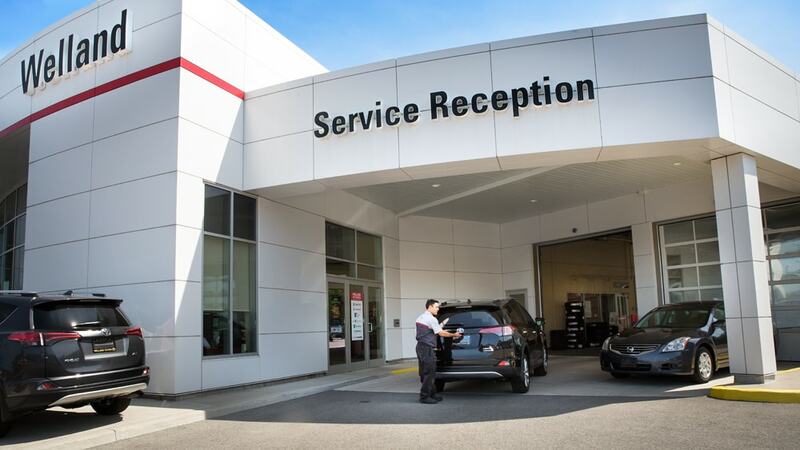 Hours and Location of Welland Toyota dealership @ (800) 265-3409. From St. Catharines: Take Hwy 406 to Merritt Rd exit. Turn South (left) on Niagara St. and see Welland Toyota just before the Seaway Mall, across from MT Bellies at 894 Niagara St. If you are coming to service your vehicle, simply drive right up to our service bay and our doors will open for you. A service advisor will be there to help you. Welland Toyota is located at 894 Niagara St. in Welland, just West of the 406, south of the Merrit Rd. exit (right next to the Seaway Mall and across the street from MT Bellies).